Riding a train probably isn't the first thing that comes to mind when you're looking for vacation ideas unless you primarily vacation in the late 19th century. The Durango and Silverton Narrow Gauge Railroad is betting it can convince you that's a mistake. 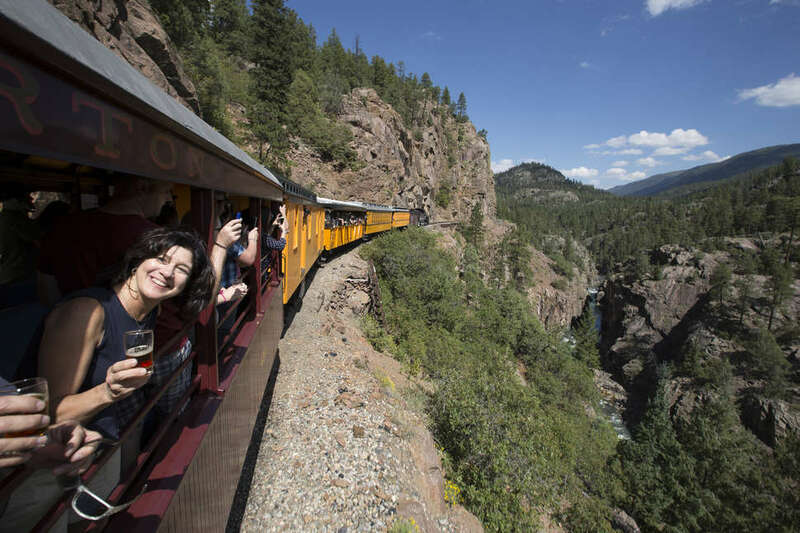 A couple of times each year (just once in 2018), the Durango Brew Train rides through the Colorado mountains, loaded with craft beer. Fortunately for anyone who missed out last year, the train announced a huge service expansion on April 8. In addition to the two fall rides, the Durango & Silverton Narrow Gauge Railroad, who runs the line, will offer nine treks into the mountains scattered throughout the summer. 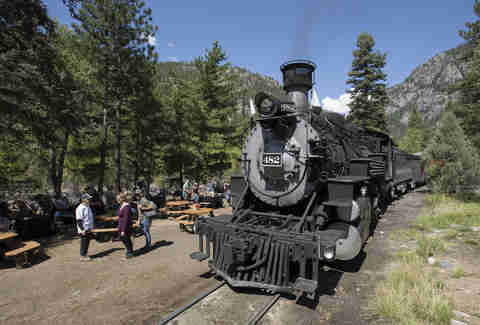 The authentic 1920s steam locomotive starts in Durango on a trek through scenic ridges and along the Animas River. You get to enjoy the sublime scenery while Colorado brewers walk through the cars to make sure you're well lubricated. "The breweries are very liberal with their pours, too," Christian Robbins, marketing director for the train line, tells Thrillist, in case you're somehow worried about not getting enough beer on a train loaded with brewers. 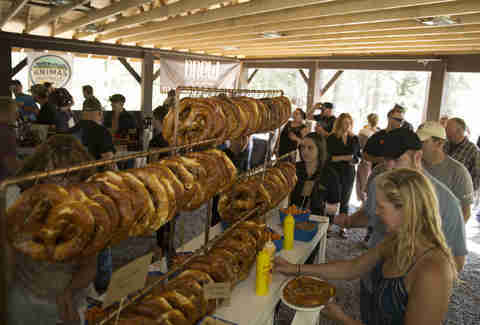 On the ride, you'll find much more than just beer, however. "We start here in Durango like our normal train ride would," says Robbins. "On your way [to Cascade Canyon in the San Juan National Forest] you see gorgeous views. The highline is one of the peak moments because it's jaw-dropping. You could just look out the train, and there's this huge 500-foot cliff down to the river you're looking over." Meanwhile, the brewers are still bringing beers right to your seat. "When you get to Cascade, the train stops and lets everyone off in a forest-y grove," Robbins continues. "It's the middle of the forest. You're not near anything except our tracks. Prior to that train arriving, we've already hauled up the caterers, the food, and the musicians." So at the mid-point of the trip, it's time for lunch, live music, and, of course, more beer. Since you're in Colorado, you can also rest assured that the lineup of brewers, though largely local to Durango, is a ridiculous list of ace breweries. BREW, Steamworks Brewing, Ska Brewing, Animas Brewing, and Carvers Brewing have been the regulars since they're based right in Durango. (Though, BREW is now closed.) In 2018, the line has additionally invited Four Peaks Brewing (Tempe, Arizona) and Left Hand Brewing (Longmont, Colorado) to join the trek. The full lineup for 2019 has yet to be announced, but you can rest assured there will be quality beer on the train. The fall trips will take place on August 31 and September 28, with three ticketing options, including standard, deluxe, and first-class fares. The summer rides will only have one pricing tier and with treks taking places on June 15, 22, and 29; July 6, 13, 20, and 27; and August 3 and 10. Move quickly, though. Last year's rides sold out fast. It's easy to understand why. Riding a train loaded beer through the mountains should probably make an appearance on your bucket list.